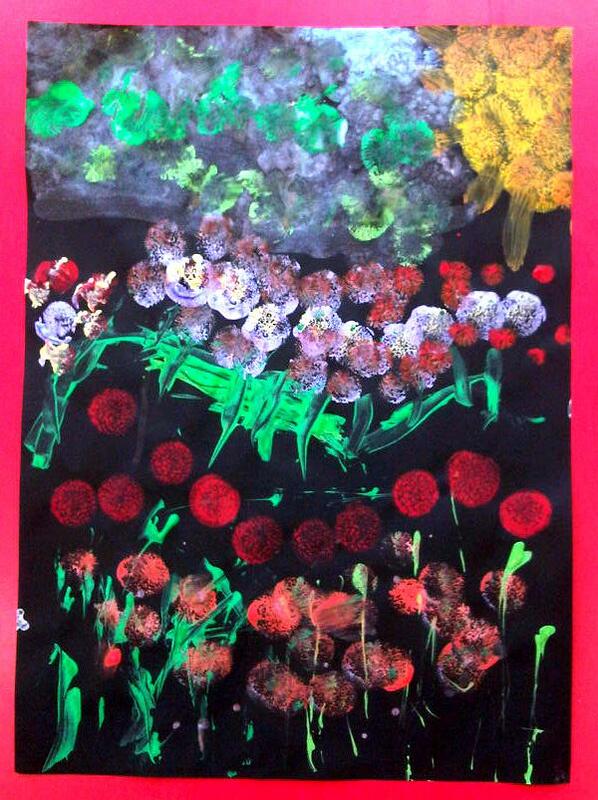 These lovely paintings of spring flowers were created by KS2 children. Simple to make, the young artists used mark making tools (curtain rings, toothbrushes, sponges, coffee stirrers and lots of other random stuff!) 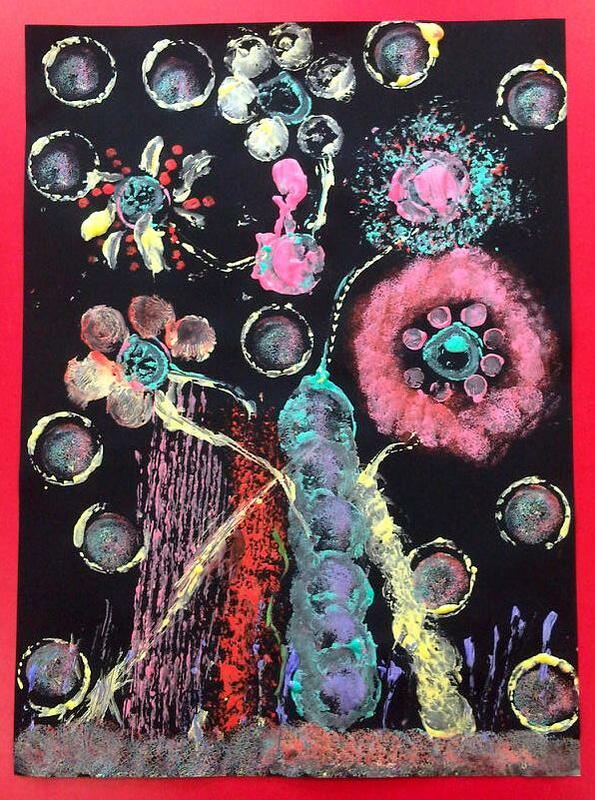 to print brightly coloured and metallic paints onto black paper. 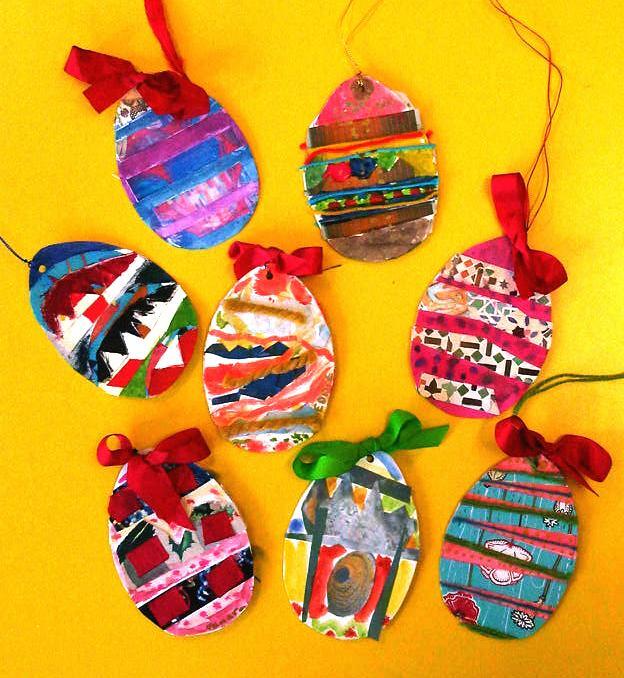 These Easter egg cards/gift tags/decorations were made by cutting up old greetings cards to create patterns. These were stuck onto coloured, egg-shaped card. The children then painted additional lines, spots and other patterns using watercolour paints and stuck on pieces of wool and ribbon. Finally, I added a hole at the top of each egg using a hole punch and threaded ribbon through to create bows.